Place the yolks, mayonnaise, mustard, chives and Old Bay in a mini chopper or food processor. Pulse until smooth. Divide evenly among the halves. Garnish with crab. Sprinkle with additional Old Bay. 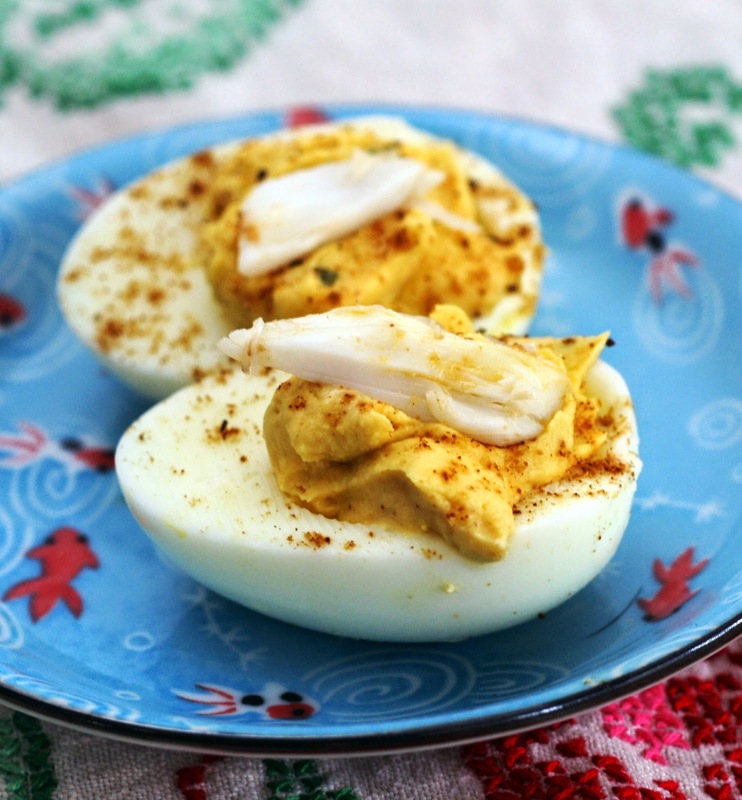 If Baltimore had an official deviled egg, this would be it! Full of our favorite Old Bay and topped with crab (leftover from streamed crabs, natch) it is everything Baltimoreans love rolled into one dish. Perfect for your next picnic, cookout, party or crab feast.